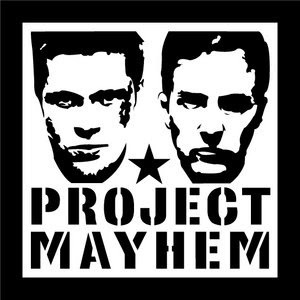 In the film Fight Club (the book has a slightly different plot), the members of Project Mayhem’s main goal is to blow up the buildings that contain credit card companies’ records so that everyone’s debt is reset to zero. (Yes, I know this wouldn’t actually work, but never mind that for now.) On 22nd of January 2010, two Twitter users, Allen Stern and Louis Gray, proposed the same idea for Twitter. That is to say, with the new suggested users list (SUL) now in place, they’d like to see Twitter reset the follower counts of users (either just those that have been on the SUL in the past, or everyone) to zero, and start over. The core idea behind this is that anyone on the SUL leading up to the change has gotten an unfair advantage in terms of the number of followers they now have on Twitter. Leaving aside the fairness of it, it certainly is true that just about every person with over a million followers on the service only got that many because of the SUL. And while you may wonder why anyone cares about the number of followers they have, for some accounts, such as those tied to blogs, a huge number of followers is beneficial in terms of clicks coming into the site when links are tweeted out. As it is known, the new version of the SUL has drastically altered the rate at which new followers are being added to these accounts. And in many cases, people on the list are now actually losing followers. But as we noticed, those who were on the old SUL are unlikely ever to be caught in terms of followers by anyone else now given these new rates hence, the call for the resetting of the counts. It’s an interesting idea, but not one that is likely to happen. After all, if Twitter did a reset of users on the old SUL, it would mean breaking all the relationships accumulated over months or even years by those accounts, including plenty completely unrelated to the SUL. And while that may seem more fair to some, to at least as many, it would just be annoying, you would have to follow those accounts all over again. Meanwhile, resetting every user on Twitter to zero followers would just piss everyone off. And the complete distruction of the social graph could even threaten Twitter as a service itself. All social networks, whether they are Twitter or Facebook, are only as strong as their social graphs. Twitter wiping it own out, giving user less of a reason to return would be foolish. Twitter is well aware that the original SUL was a less than ideal solution. No less than co-founder Evan Williams admitted back in October that he wanted to kill it off. But the fact remains that it did and still does serve a purpose. Without a suggested users list, most people who sign up for Twitter would have absolutely no idea who to follow and would simply leave. While statistics point to a good number of users doing that even with the SUL, Twitter is unlikely to have gotten to where it is today without this type of feature. It would have been the classic problem of: no one I know is using the site so I’m not going to use it either. As we see it, Twitter’s only real solution is to keep improving this new SUL. While they say it’s already being dynamically updated frequently as determined by a number of unnamed factors, they should really work to make even more personalized. Maybe you get the default category SUL (as it is now) when you first sign up, but depending on your tweets (assuming they’re public), Twitter could offer you more personalized recommendations on who to follow. And they could also do what Facebook does and suggest friends based on other friends you have in common (something which it is promoting even more now, so it must be working). Thanks to their new geolocation API, Twitter could also do some interesting things with recommending users who are nearby to you at any given moment. That may sounds a little creepy, but as long as it’s opt-in, it might be useful for some. Undoubtedly, whether they say so or not, Twitter sees this type of SUL backlash as a minor bump in the road. After all, they have their goals set much higher then the millions of users they currently have. They want Facebook numbers, and beyond. If that happens, users will a million followers won’t be so uncommon, and the old SUL advantage will be rendered moot. It’s still a big “if,” but I would bet that’s their thinking on the matter.